Issued in anticipation of the celebration of the discovery of America in 1992, this stamp was issued with a set of stamps commemorating explorers. Mungo Park (1771-1806), a Scottish surgeon and explorer was sent by The Association for Promoting the Discovery of the Interior Parts of Africa to explore the course of the River Niger. 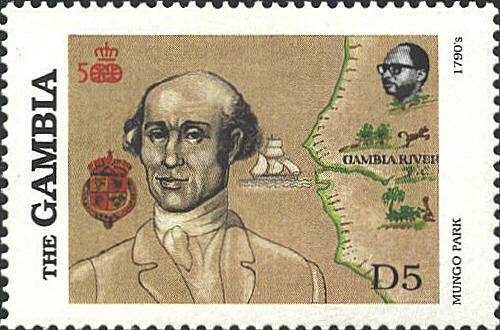 He began from the Gambia River and reached the River Niger in July 1796. He died on a second expedition to the Niger in 1806.